Our football pitch is meant for playing football with your family or friends! It is covered by soft grass! You can enjoy sport and recreation at the same time! You can adjust the size of the pitch, as goals can be easily moved depending on your needs and wishes! 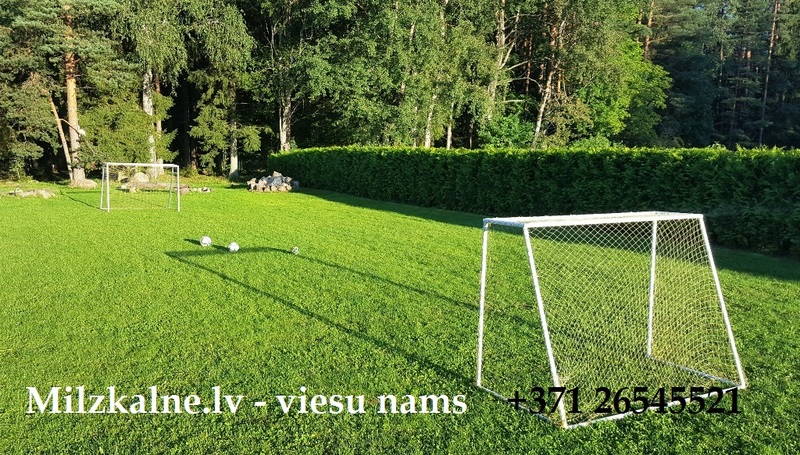 You can also put a mobile volleyball net in our yard; you can bring the net with you (as it is not included in our sports equipment).